The rate includes: Return train ticket from Montecatini Terme to Florence; local guide for the tour. 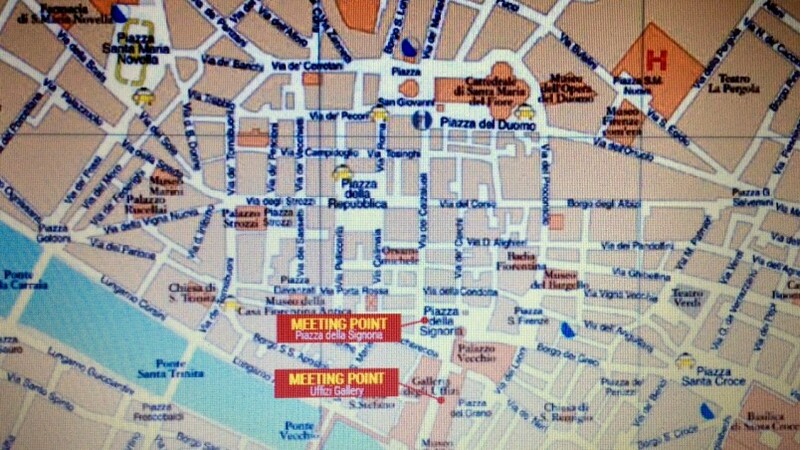 Meeting point with the guide: Florence – Signoria Square in front of Neptun Fountain. Starting time of the tour from Florence: 1:45 p.m. Duration: about 1h,45 min (excluded the time to reach Florence). With an expert guide you will enjoy a walk through the most fascinating places of Florence: Repubblica Square, the Cathedral with Brunelleschi’s Dome (exterior), the Baptistery with its famous Gates of Paradise, Signoria Square with Palazzo Vecchio and Loggia dei Lanzi. *few minutes to take last pictures and you will meet the guide to enter the Uffizi Gallery, to visit its beautiful collections of Italian Renaissance paintings. The tour will finish enjoying a beautiful view of Florence, from Uffizi terrace. It is possible to remain inside the museum until closing time.